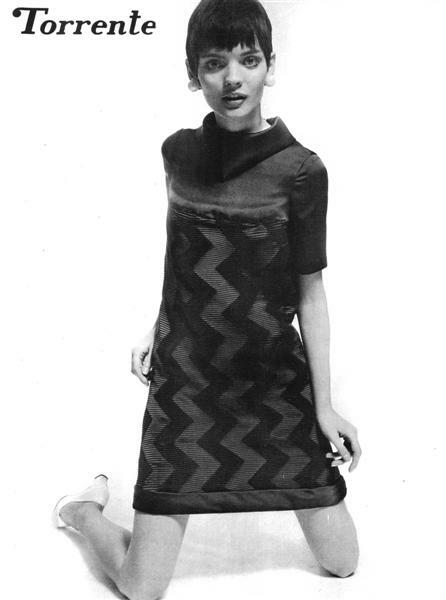 In the mid summer of 1966 I was an art student, studying fashion illustration in New York City. Because I was so tall and thin, people were constantly encouraging me to try to be a model. 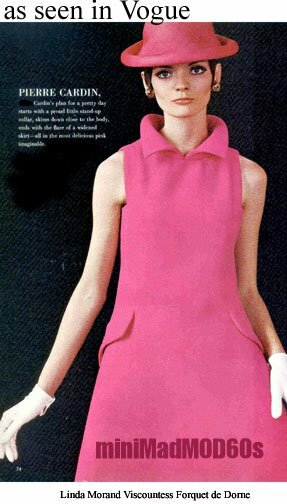 I did not think I had a chance, but after a slow start I was accepted by the Ford agency and sent to Paris to pose for the magazines and walk the runway of Pierre Cardin and Jean Patou and others. I was under contract to Paris Planning. The Paris Planning agency was on Rue Tronchet in Paris, near the Madelaine, a monumental church with columns. I remember going up an elevator into a beautiful, very Mod office, decorated in a very futuristic style with white walls, gleaming glass, plastic and chrome. They had an overhead slide show of all the models playing, projected on the wall, quite innovative at the time. Many of the top American models of the day were in the show. They had added my pictures from Mademoiselle. Francois Lano, the owner was such a dear, so fastidious and good humored. He was dapper, elegant and well dressed with a little mustache, who treated the models as ladies. Maria was his partner. I remember they were measuring our hips. 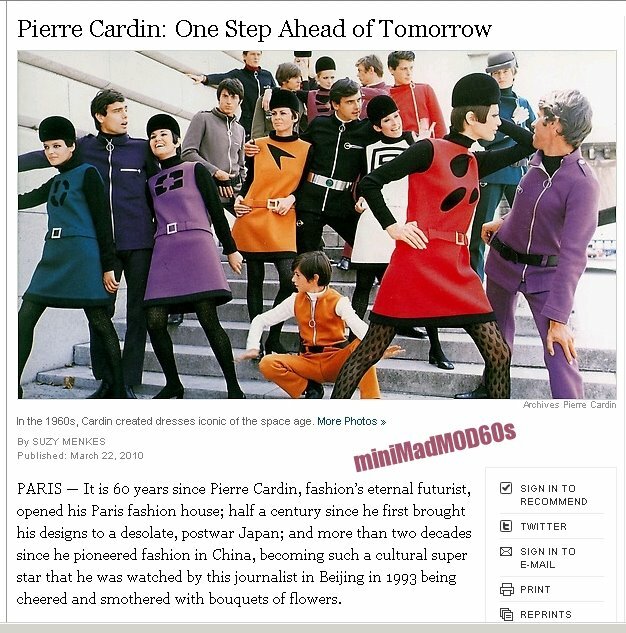 They were excited about sending me over to Pierre Cardin for a fitting. I would be modeling his spring 1967 Collection on the runway for private clients, exclusive buyers and the invited World Press. Diana Vreeland and all the top editors were going to be there, including my editor friends from Mademoiselle, Nonie Moore and Deborah Blackburn. 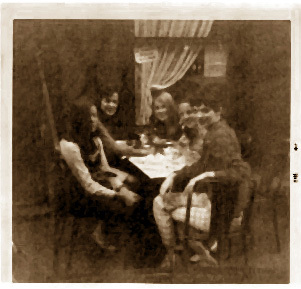 The photos were to be taken in the evening when the clothes could be borrowed from the designers. They had to be photographed quickly and sent back an hour later. Hundreds of couture dresses were being sent around Paris all through the nght by special messengers. Thew would appear in newspapers and magazines through the news bureaus, sometimes the very next day. By dawn all the dresses had to be back and put into order for the fashion show the next day. it was a frantic time, fraught with anxiety. Sometimes an important dress might be lost for awhile or delayed. These pictures have resurfaced today in the book Cardin: 60 Years of Innovation. In the evenings, Francois told me that Vogue Patterns had booked me for their selections from the Cardin Collection, as well as Dior and Patou, Yves St. Laurent and more, The photographer was Richard Dormer. Those pictures are on the Internet in several places today. With all the new media attention, Cardin needed girls that would look good in the glare of the flashbulbs at the end of the runway. He decided he would have the current crop of new young American cover girls and editorial models. So the opportunity was opening up for more American photo models to conquer the sacred runways of Paris. Forget about the fact that we had no idea how to walk properly. None of us ever did runway in New York. All that mattered is that we would look pretty on camera. The regular house mannequins were still used for private showings to the actual clients, the aristocrats and movie stars that could afford these super expensive one of a kind fabrications. They hated us for taking their places at the main press show, and we really couldn’t blame them. In New York, we had to put up with the influx of Swedish, Danish, German, Dutch, Swiss, French and British models, being imported by the Ford Agency. It was the survival of the fittest. Models were sent to Europe to get tear sheets from European magazines. There were no model scouts, no great chains of modeling schools, no Internet to post your pictures to. If you wanted to be a model you could find out who was the best agent and send your pictures in. Ford used to get 1000 pictures a week from would be models. About this time I met my lifelong friend, the irrepressible Susan Brainard. 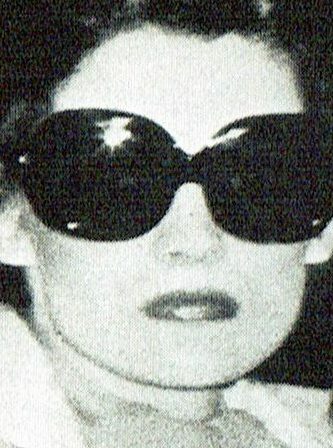 She was the best friend of Wallis Franken, who stayed on in Paris for years. You lived it,and now you archive it…the decades that were the pinnacle of the social revolution and the fashions that reflected it.I could listen to your stories for hours on end. your talent for documenting our collective history.Many of us were given a “face” again. I am appreciative of the efforts that you continue to make that give hommage to a generation of models that might have been lost in history had it not been for you. Thank you Linda. Thank you Kathy. Your encouragement has been an inspiration to me. Your friendship on Facebook and in the real world is very valuable and I treasure it. Your care of our dearly loved Toby will never be forgotten. This is a wonderful story that would probably make a good movie…if anyone would really believe the stories that we can tell! It’s also great to have such a good friend whose closer to me than when we were in our 20’s! You can tell that we never run out of conversation!!! Love her to death!